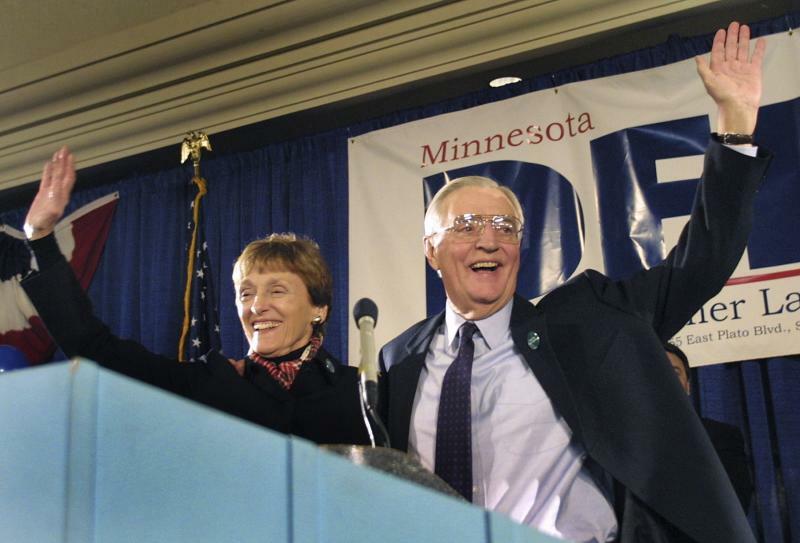 ST. PAUL, Minn. (AP) — Joan Mondale, who burnished a reputation as "Joan of Art" for her passionate advocacy for the arts while her husband was vice president and a U.S. ambassador, died Monday. She was 83. Walter Mondale, sons Ted and William and other family members were by her side when she died, the family said in a statement released by their church. The family had announced Sunday that she had gone into hospice care, but declined to discuss her illness. "Joan was greatly loved by many. We will miss her dearly," the former vice president said in a written statement. An arts lover and an avid potter, Joan Mondale was given a grand platform to promote the arts when Walter, then a Democratic senator, was elected Jimmy Carter's vice president in 1976. Carter named her honorary chairwoman of the Federal Council on the Arts and Humanities, and in that role she frequently traveled to museums, theaters and artist studios on the administration's behalf. She lobbied Congress and states to boost public arts programs and funding. She also showcased the work of prominent artists in the vice presidential residence, including photographer Ansel Adams, sculptor David Smith and painter Georgia O'Keeffe. "She was exemplary in using the opportunities public service provided to advance the arts and other issues important to her and many Americans," Carter and his wife, Rosalynn, said in a written statement. Her enthusiasm for the cause earned widespread praise in the arts community, including from Jim Melchert, director of the visual arts program for the National Endowment for the Arts during Carter's administration. "Your rare fire has brightened many a day for more people than you may imagine," Melchert wrote to her after the 1980 Carter-Mondale re-election defeat. "What you've done with style and seeming ease will continue illuminating our world for a long time to come." President Barack Obama and first lady Michelle Obama also praised those contributions Monday. "Through her contributions to the Federal Council on the Arts and Humanities and the Kennedy Center, she passionately advocated for the role of art in the life of our nation and the promotion of understanding worldwide," the Obamas said in a statement. As Carter's No. 2, Walter Mondale was seen as a trusted adviser and credited with making the office of the vice president more relevant. It was natural that his wife would do the same for her role. Vice presidential aide Al Eisele once said of his boss: "It was important to him that Joan not just be the vice president's wife, but his partner." 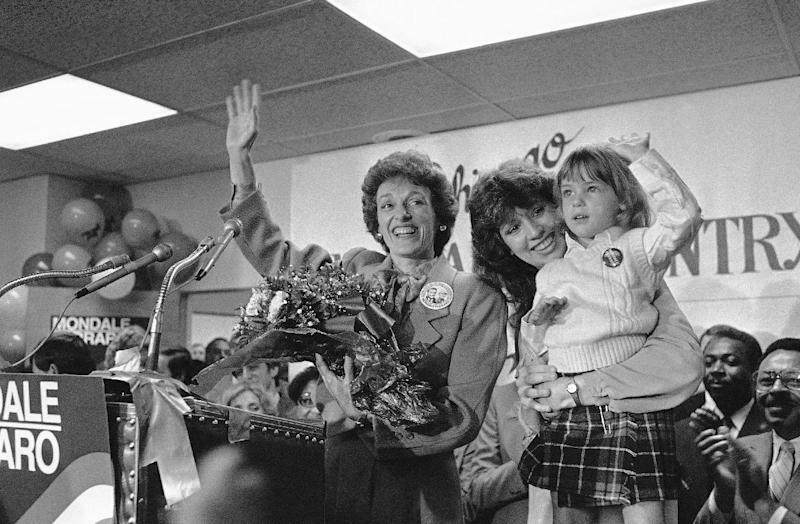 Joan Mondale would later take her cultural zeal overseas when her husband was named U.S. ambassador to Japan during President Bill Clinton's administration. Minnesota Sen. Amy Klobuchar first met Joan Mondale while working as an intern for the vice president in 1980. Klobuchar still has two coffee mugs on her kitchen table that were made by Joan. "She was always down to earth," Klobuchar said Monday. "She was just as happy going out to rural farms in Elmore (Minn.) as she was mixing it up at fancy receptions at the ambassador's residence in Japan." During her husband's ambassadorship, she relished the chance to study Japanese art and give dignitaries clay pots she made as gifts. In her 1972 book, "Politics in Art," Joan Mondale framed a connection between the two. "Sometimes we do not realize how important our participation in politics is. Often we need to be reminded of our duty as citizens," she wrote. "Artists can do just that; they can look at our politicians, our institutions and our problems to help us understand them better." She was born Joan Adams in Eugene, Ore., on Aug. 8, 1930. She and her two sisters moved several times during childhood as their father, a Presbyterian minister, took new assignments. The family finally settled in St. Paul, Minn., where Joan would earn an undergraduate degree at Macalester College. It was the same liberal arts school that Walter Mondale attended, but they were a few years apart and didn't meet until 1955, when one of Joan's sisters arranged a blind date. Six months later they were engaged, and they married soon after. She dabbled in Democratic Party politics as a ward chairwoman, though she focused on her family as her husband built his political career, starting with state attorney general. Joan tended to a family that would eventually include sons Ted and William and a daughter, Eleanor, who died in 2011 after a long battle with brain cancer. When Walter Mondale was tapped to fill the Senate seat vacated by Vice President-elect Hubert Humphrey in 1964, the family headed to Washington. 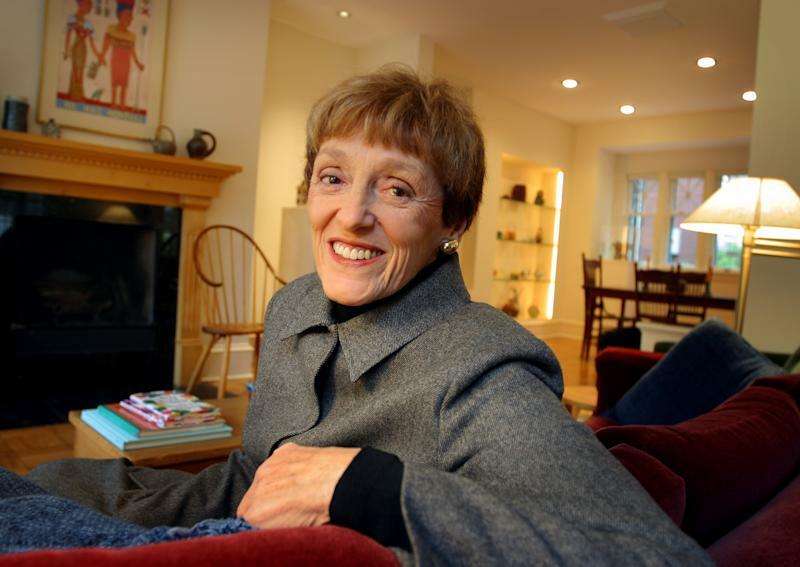 There, Joan Mondale immersed herself in the capital's art scene. She gave weekly tours at the National Gallery of Art and took pottery lessons. Even when her husband was campaigning as Carter's vice president, she tried to keep up with regular ceramics classes. More recently, she sat on the U.S. Postal Service panel that has a role in selecting stamp designs. She gave up her seat on that committee in 2010. A service is scheduled for Saturday at Westminster Presbyterian Church in Minneapolis.